Native to Europe and West Asia, broad-leaved pepper-grass was introduced to North America as a contaminant in crop seed. In California, it was also grown as an ornamental plant. 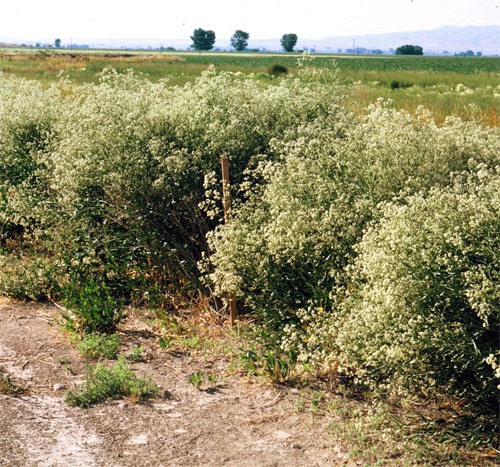 Broad-leaved pepper-grass is a highly invasive species that displaces native vegetation. 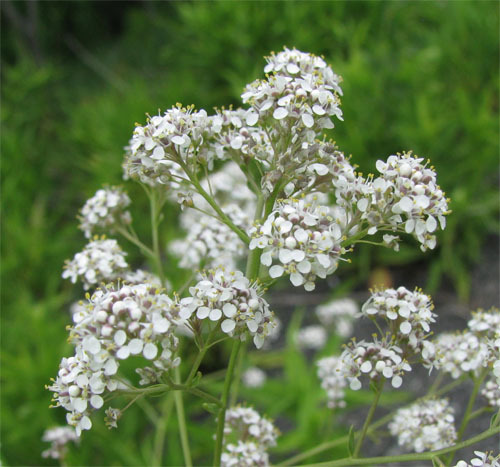 It grows mainly in moist to wet habitats including river and lake edges, wetlands, marshes and floodplains. It can reach fields through irrigation ditches. This weed has tiny 3-8 mm wide, white flowers with four petals. The flowers grow in dense clusters at the tips of branches. The leaves are green with a leathery surface and a prominent whitish midvein. Leaves are lance-shaped, elliptic or egg-shaped and have smooth or serrated edges. 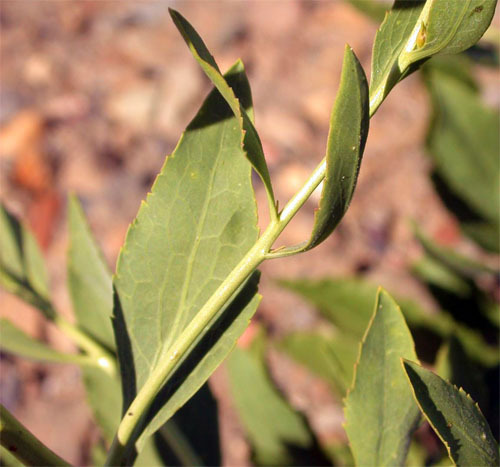 Rosette leaves at the bottom of the plant are larger than stem leaves and often have stalks. Each plant has multiple smooth stems that grow up to 120 cm tall. Goats can eat and control this weed. Hoary Cresses - other Lepidium species - but Broad-Leaved is taller and distinct stalks to the leaves.